Watch this space for Carolina Region Tournament System updates and news. We have added a new Camps and Clinics listing feature. Hosts can submit their camps and clinics on the page to promote to visitors to the site. This is provided as a service to our members and does not indicate any endorsement of any camp/clinic/host by the Region. If interested in any camp or clinic, visit the URL provided for more research and information. We have improved the display for any tournaments that have to be cancelled due to inclement weather. Any tournaments that are cancelled will now indicate that at the very top banner. This will also be updated on the team's individual page if they were entered in any tournaments that were cancelled. We improved the tournament entry display at individual tournaments to show teams that may be in danger of not getting into the tournament due to (a) not enough courts to accept all teams and (b) not being eligible to participate in a bid tournament or Regional Championships event due to not playing in the minimum required number of events yet. Teams will be listed in RED and a brief description will show next to them in parentheses. A link to a FAQ page about this feature will be shown at top of tournament pages until the tournament is played. Eligibility status will show in the tournament entries for teams entering a National bid tournament (will be in RED if they have not played in required event yet). 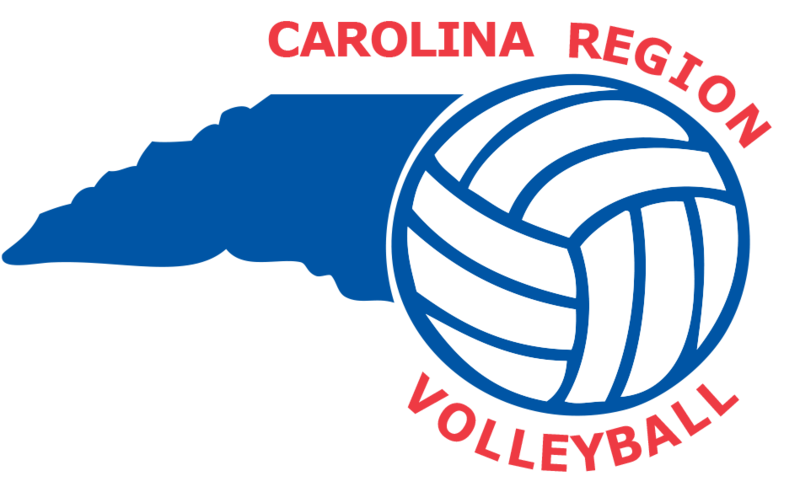 The Points System is now known as the Carolina Region Tournament System, reflecting its broader scope. When you select Juniors from the Program menu, you can now select an age group or enter a club name. The resulting page can be bookmarked to make it easy to return to in future browsing sessions. The team page now displays whether a team is eligible to participate in National Bid tournaments and Regional Championship events based on participation. This season we will treat Playoff matches the same as pool play matches. Points will be gained or lost for each playoff game, so a 2-0 win will transfer more points than a 2-1 victory. There is now a club directory in the Info menu so users can contact clubs in their area when looking for playing opportunities. Updated menus and links to match the redesigned Carolina Region web site. This season the Tournament System will display results from CR-sanctioned multi-day tournaments, (such as Quest, City of Oaks, Queen City and MAPL Raleigh). Matches between Carolina Region teams in these tournaments will be included in points calculations. The USAV Team Code in AES must match the USAV Team code in WebPoint (your official code) in order for us to match results to teams. Added a feature where teams will be listed in RED in the tournament entries received lists IF they "may" be in danger of not getting into the tournament. The system looks at total number of entries, total courts available in each region (East/West), and minimum number of teams needed for a pool (3) to generate the teams listed in RED. With that criteria only, the system will list teams in RED that we cannot currently accommodate (based on date of entry). Keep in mind that we will still move teams into other regions/age groups if possible to accommodate as many teams as we can (this won't happen until after entry deadline passes and we begin to assign sites), so all teams in red will not necessarily be eliminated from the tournament. But, if you see we are short courts (see table at top of each tournament page) and your team is in RED, it may help your team and the region if you can find additional courts to host that weekend! Any teams not getting in to the tournament, will be put on the Wait List when sites are assigned. Team Reps and Club Directors now get a confirmation email when a tournament entry is processed into the system. Teams that are entered in a tournament that is cancelled (due to inclement weather or loss of site) will now have that status shown on their individual Team Page. They will have an item that shows they have a credit and when it is used, that status will be updated with how it was used (refund check or applied to another tournament). There is now a New Features menu item under the Info menu (you are reading it).